A major event to mark the Ffestiniog Railway's 150 years of steam takes place over the May Bank Holiday weekend this year. Ffestiniog Travel are offering you the chance to be part of this journey down memory lane by inviting you on our mini-break special. Experience a spectacular weekend of steam and history like never before! George England locomotive The Princess stands at Porthmadog Harbour Station in the 1880s. It all began back in 1863 when it was first suggested that steam locomotives could be the answer to getting empty wagons up to Blaenau Ffestiniog to transport slate. Before this point the fastest mode of transport in the Vale of Ffestiniog was a bolting horse! The celebration weekend will take you to the very beginning, from the humble horse, and follow the story that saw the arrival of a strange, new machine to the area. The Narrow Gauge Steam Odyssey highlights how events in the top left hand corner of Wales had a global impact on the development of narrow gauge railways. 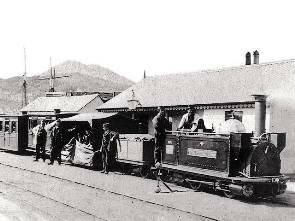 The Ffestiniog Railway not only was the first to launch successful narrow gauge locomotives, but also ran the last industrial narrow gauge steam. 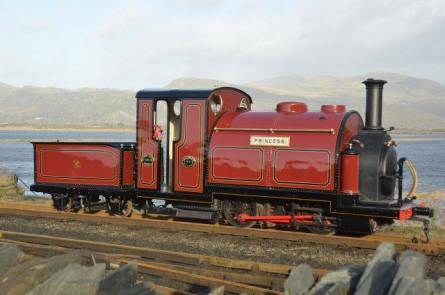 The diminutive but historic locomotive Princess built for the Ffestiniog Railway in 1867. Events focus on the arrival of steam and the departure of the horse, a day of early FR history where the now famous Double Fairlie may feature, but only as a hopelessly modern anachronism. We see an explosion of new lines opening up across the world and the railway will showcase their wide selection of Fairlies, Hunslets, Beyer Garratts and other locos being developed for export across the globe. Monday showcases the ultimate narrow gauge trains represented with long trains, larger locos and heavy haulage. Characters from the past will help re-enact the awe and admiration created by the arrival of steam both on the small local community and on the wider world. It is an opportunity to re-live a slice of history, one to be enjoyed by everyone and not just the steam enthusiast. We recommend a 4-night stay to experience the weekend’s full itinerary, but a shorter stay can be arranged. This is a flexible mini-break which we can adapt to your requirements and can arrange accommodation in the following areas - Porthmadog, Blaenau Ffestiniog, Beddgelert, Criccieth and Betws y Coed. Prices, which will include entrance to the FR events, will be determined by individual or group requests. We advise that you contact us as soon as possible for further details and to reserve your place on this unique weekend.